Original Pre-Cleanser dissolves excess oil, impurities and make-up because it contains mineral oil. At the same time it also helps to decongest clogged pores and hydrate skin, leaving it feeling clean and refreshed. It is gentle enough to be used daily. Leaves your skin hydrated with a silky after-feel. Provides gentle and effective cleansing. Regular use will enhance the appearance of your skin texture. Apply liberally to face and massage with fingertips, then add a few drops of water and rinse. 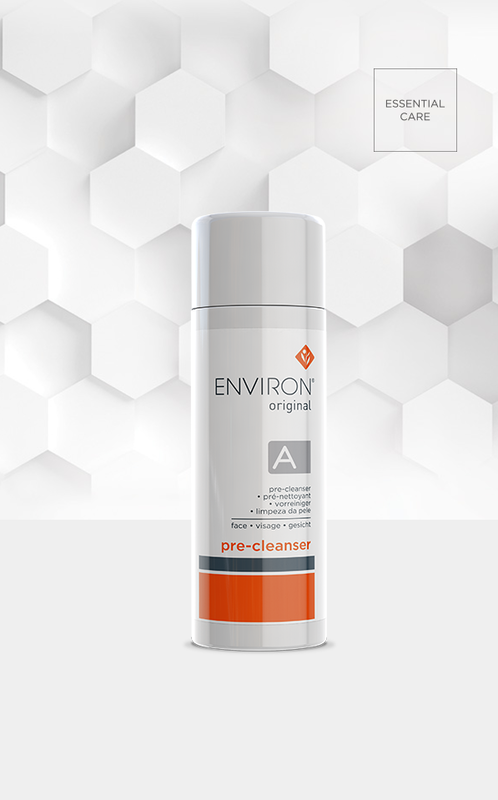 Remove it with your preferred Environ cleanser and rinse with water. To remove eye make-up and waterproof mascara, use on cotton wool. * Warning: Contact lens wearers should use with caution.